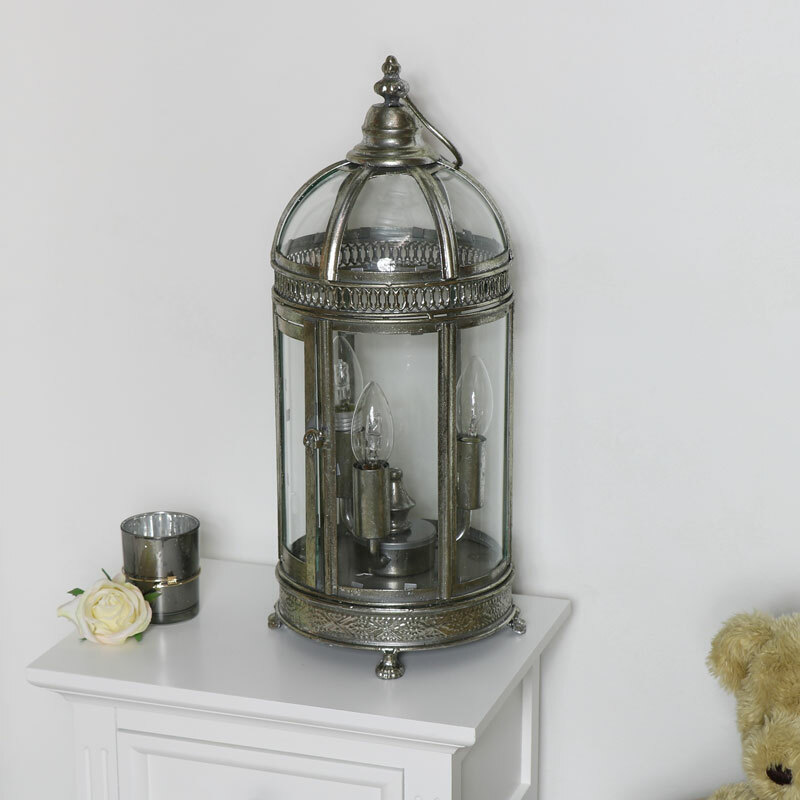 Add some vintage inspired lighting to your living room, hallway or bedroom with this eye catching Silver lantern style lamp. 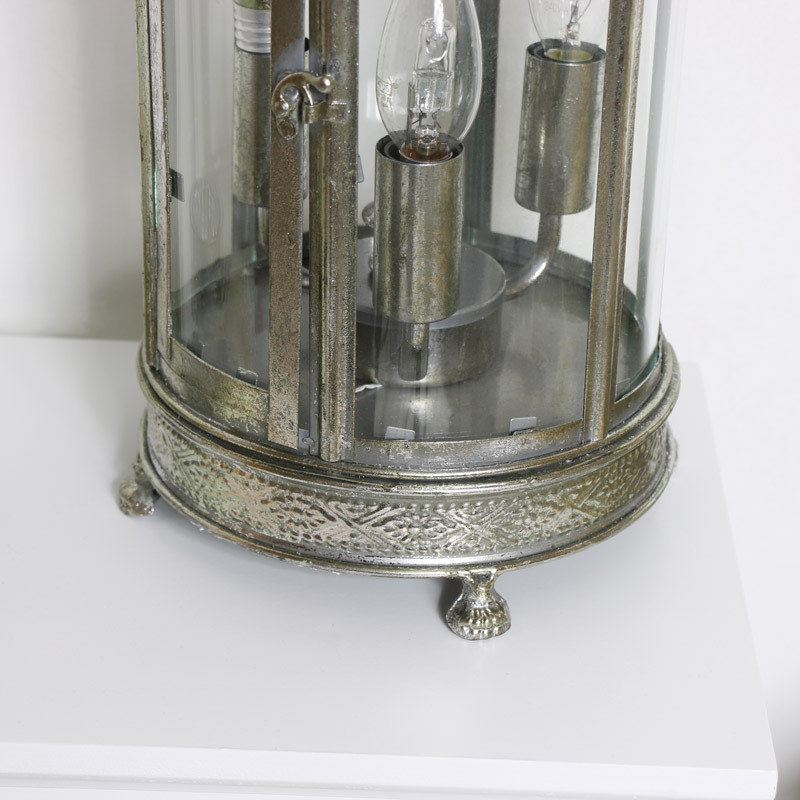 Beautifully detailed with a glass domed top and a rotating triple holder for candle bulbs. It is the perfect finishing piece for your vintage inspired interior. 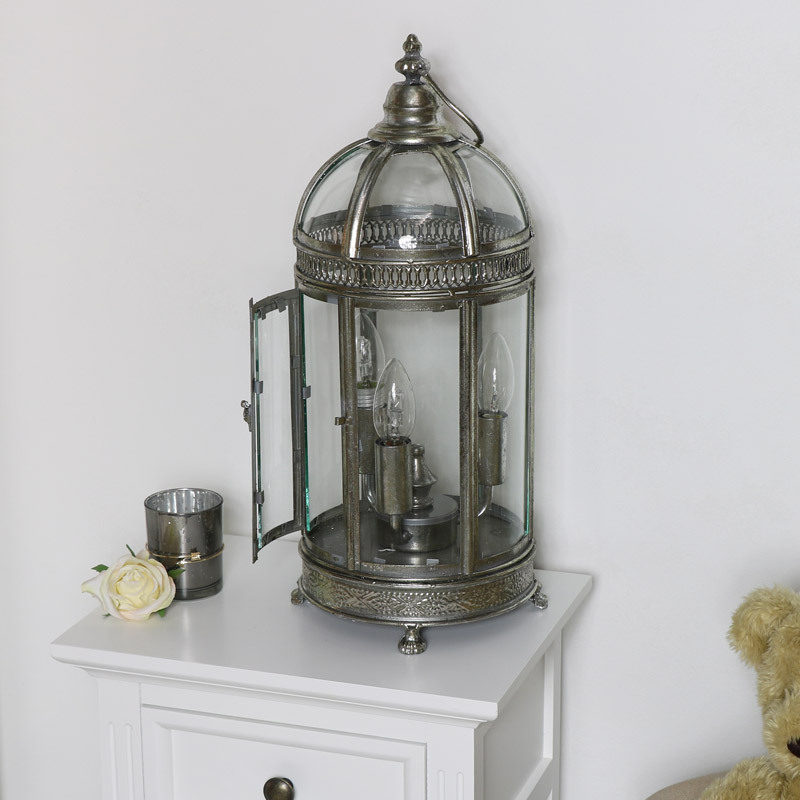 Place on your bedside on sideboard to add some warming light to your desired room.